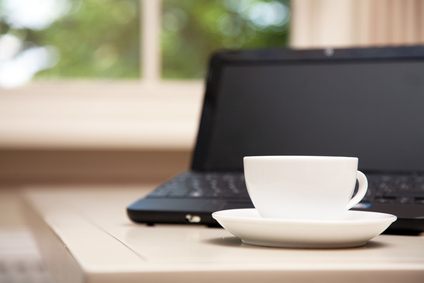 A laptop can be a valuable tool for many businesses and individuals. While most laptop brands are manufactured to be very durable, laptops are prone to damage. Since many people carry laptops with them throughout the day, they can be subject to drops, liquid spills, shocks, vibrations, dust, dirt and other environmental hazards. The following guide provides simple tips and tricks on how to care for one’s laptop. Laptops contain the same components found on a regular computer. However, the components in a laptop are usually manufactured to withstand higher levels of vibrations and shocks. For example, most laptop hard drives are manufactured so that they won’t be damaged by a short drop to the ground. In addition, many laptops are designed to have minimal moving parts. Since moving parts in a laptop are subject to the highest risk of damage, manufacturers will often try to limit their use as much as possible. Some laptops have no moving parts. However, this requires the installation of a special heat sink and a solid state hard drive. It’s a good idea to avoid eating or drinking while using one’s laptop. If one plans to eat and drink near a laptop, try to avoid putting tall glasses or cups next to the laptop itself. If a drink spills on a laptop keyboard, it may short-circuit the electronics inside. However, there are some special keyboard guards that can be fitted on top of a laptop keyboard. These keyboard guards are designed to repel dust and other debris that could damage a laptop. However, these devices may make it difficult to type on one’s laptop keyboard. Laptops, like all computers, can generate a lot of heat. Most desktop computers come with a large case and several fans to dissipate excessive levels of heat. However, laptops are usually encased in a very small enclosure. Because of this, most laptops have only a few small ventilation holes where heat can leave. In many cases, these ventilation holes are located on the bottom of a laptop. If these ventilation holes on a laptop are blocked, it may not be possible for heat to escape from the laptop. This can result in overheating and damage to one’s laptop. To avoid these types of problems, it’s a good idea to avoid using a laptop on a bed or other soft surface that can restrict airflow through a laptop. Instead, it’s a good idea to use a laptop on a solid surface. If one will be using a laptop on one’s lap, it’s a good idea to use a laptop pad that has ventilation ports. This can be a great way to ensure that a laptop will not overheat. It’s also a good idea to make sure that a laptop is stored in a case when not in use. By storing a laptop in a proper case, it’s possible to avoid accidental liquid spills, bumps and other drops that could damage a laptop. This post is brought to you by Lara Williams, a writer in the field of computer technology. When it comes to troubleshooting computer problems and making general repairs, she recommends http://www.venuscomputerservices.com/. They offer computer repair Richmond Hill and the surrounding area.